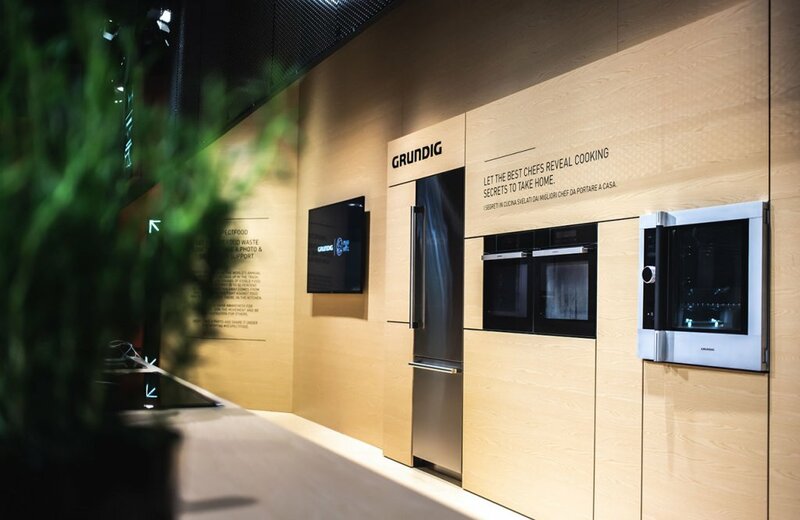 Grundig’s Respect Food philosophy was ever-present at EuroCucina in 2018. The 2018 edition of EuroCucina, the world’s most prestigious international design event, is officially over. 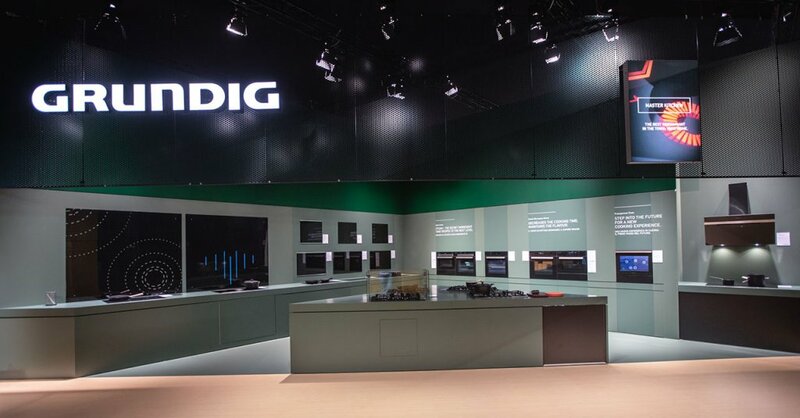 And while the wildly popular Milan event is often considered a glitzy glimpse into the future of built-in domestic appliances, Grundig, along with our host of innovative technologies, drew focus on a much bigger issue: food waste. The topic of food waste is very near to the Grundig brand philosophy. In fact, the whole Respect Food initiative was specially created to help tackle this global problem. Wasting food is wasting life, and the fight against global food waste starts from our own kitchens. What better place, then, to shine a light on this philosophy than at EuroCucina 2018? As a world-renowned design exhibition, Eurocucina was the ideal platform for us to showcase our green credentials. Constantly investing in technology and innovation, Grundig sees sustainability and resource efficiency as key areas of focus. It’s inherent to the Grundig brand vision. For many years now, we’ve invested in producing the world’s most energy and water efficient products for the home. Now, the focus is on food waste and proactively developing technologies and supporting international initiatives to raise awareness of global food waste. It’s this vision that’s lead to partnerships with organisations like Massimo Bottura’s ‘Food for Soul’ cultural association. It’s Bottura’s way of raising awareness of global food waste and encouraging people to create communal kitchens and use surplus food better. In fact, it’s Bottura’s shared philosophy that convinced us to make him Grundig’s official brand ambassador – announced at EuroCucina this year. 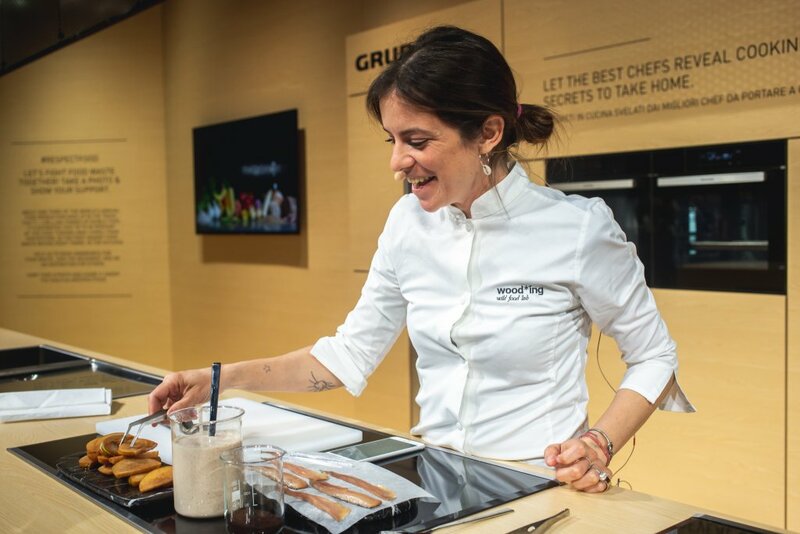 In addition to the big brand ambassador announcement, Grundig also hosted a Respect Food Live Cooking Show at EuroCucina this year. Five young professional chefs, all with a strong passion for gastronomy, cooked up a storm at this year’s event, showcasing their cooking tips and tricks against food waste. Of course, EuroCucina is all about innovative new products. 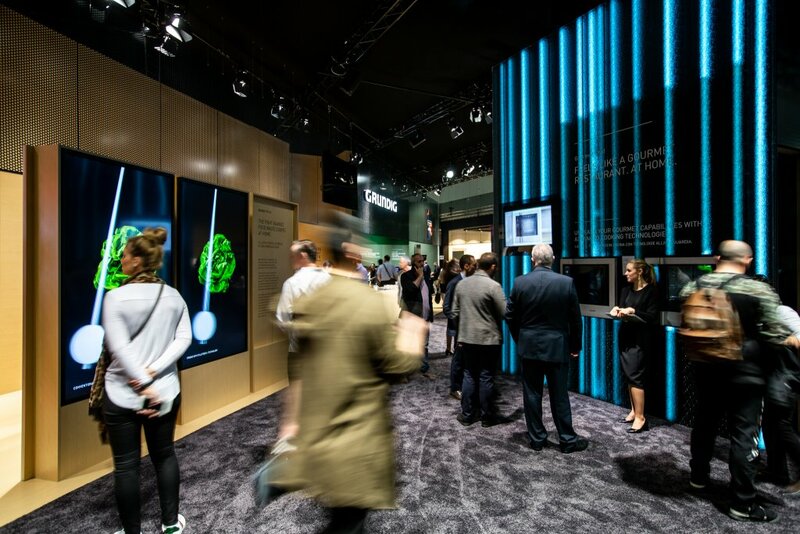 So we unveiled our Grundig premium built-in collection, which includes everything from a complete range of smart connected appliances, to the much-anticipated experience of Virtual User Experience Technology (VUX). 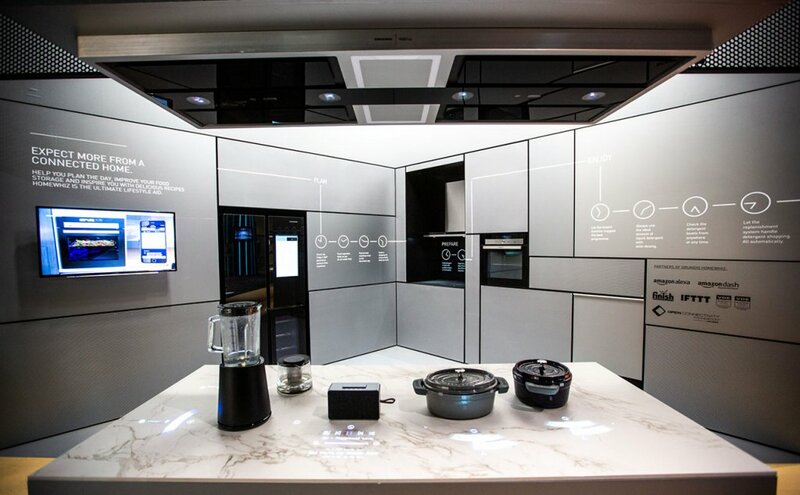 Additionally, we showcased innovations across all categories, which includes an eco-friendly dishwasher that uses just 5.5 litres of water to clean a full load, and intuitive washing machines that detect everything from fabric type to common stains. The Gourmet Chef™ Oven. Equipped with innovative technologies and sensors, this cooking marvel allows you to precisely control the temperature of your food while cooking, for optimal results. These include a high-temperature sensor, a temperature control sensor, a BLDC motor, an integrated camera and a multipoint meat probe. Cleaning up afterwards is effortless too since the oven is equipped with automatic self-cleaning, including high-pressure steam cleaning. The 80 cm wide FlexiSmart™ Induction Hob. 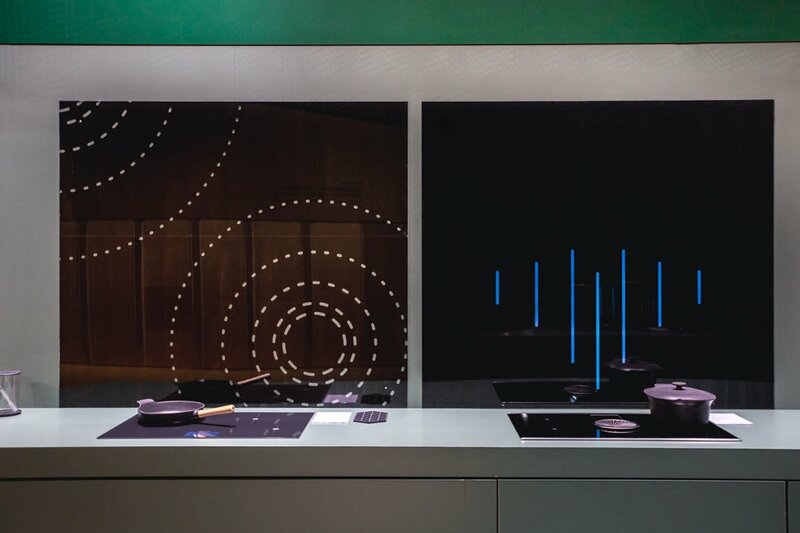 Induction cooking is cooking with sensor technology. Browse a menu on the intuitive touch screen TFT for easy access to a range of recipes and step-by-step instructions. The hob has the ability to detect and set the exact temperature required to prevent spilling or burning. It’s basically the world’s best sous chef in your own home. Virtual User Experience Technology. Our VUX Hub transforms a common worktop into an interactive controller. The advanced control panel blends seamlessly into the worktop and removes all physical buttons. This makes the surface hygienic and easy to clean. The latest generation of our VUX Hub now features a brighter, high-resolution interface, a hidden induction hood, wireless control of smaller kitchen appliances and more cooking zones than ever before. In an effort to preserve the earth’s natural resources, we also presented a range of professional refrigerators with a stainless steel interior at EuroCucina. Equipped with CustomFresh + Technology, these refrigerators have special compartments with an adjustable temperature range that allows food to stay fresh for three times longer than conventional fridges. 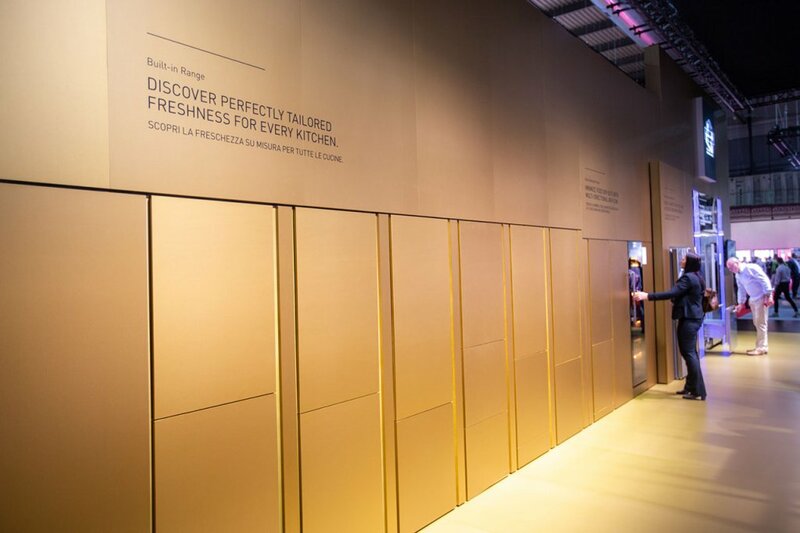 EuroCucina also saw the introduction of the innovative Corner Wash™ System for dishwashers. With three spray arms and specially-designed nozzles, the system ensures no corners are overlooked and everything is thoroughly cleansed from any leftovers and even stubborn stains. Bluetooth technology is completely changing the way we use kitchen appliances. Innovations like Grundig’s HomeWhiz® app allows you to control your appliances, like your fridge, remotely. Keep track of the goods inside your fridge with a handy display screen, to never overshop or unnecessarily waste food again. As a company that cares greatly about respecting food, we were proud to be a part of EuroCucina in 2018 and introduce the world to our latest products. While we’ve come a long way, the fight against food waste is only beginning. It’s all part of our mission to make home and earth the best places to be.